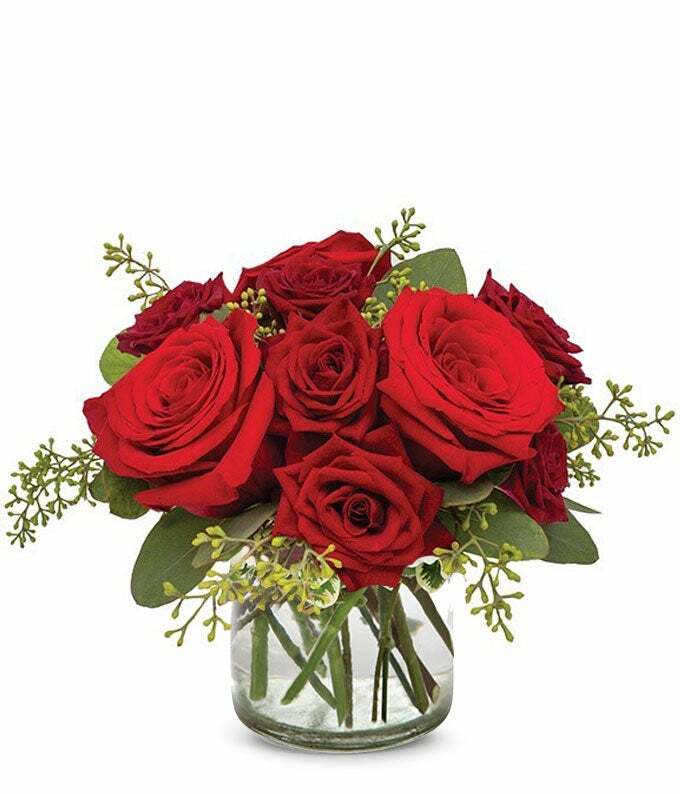 A fun take on classic red roses, this delightful bouquet is is the perfect reminder of just how much you care. Ideal to send to work or home, this is sure to keep the love alive. Approximate arrangement Height 7", Length 8"